Looking to take home the salon-feeling or even carry it around in your handbag? You’re in the right place! 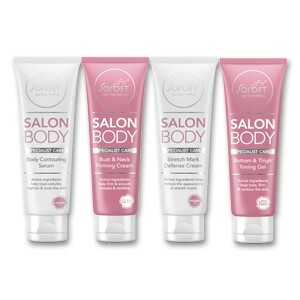 The newly revamped Sorbet Bath & Body range includes 5 ranges of salon-inspired, feel-good bath & body products. From luxurious shower gels and body butters, heavenly spritzers and foam baths, to targeted firming creams and scrubs, our bath and body range is the perfect touch to your morning, midday or evening routine.